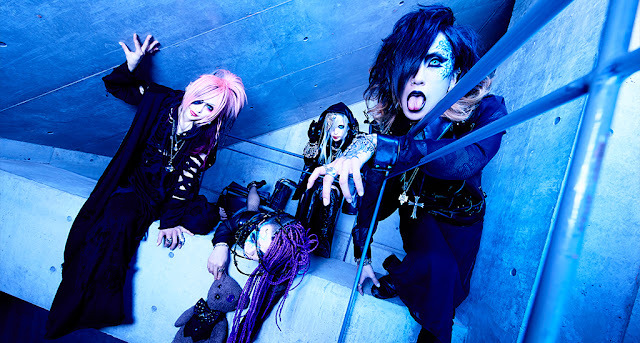 MEJIBRAY hasn't even released their mini album "VENOMS.app" and they've already announced their next two singles, "Paradigm Paradox" and "SECRET No.03", which will be released in October and November, respectively. "Paradigm Paradox (パラダイム・パラドックス)" will be released in 3 TYPES with TYPES A (2160 yen) and B (1944 yen) consisting of CD+DVD and the regular edition (1620 yen) being CD only. Like it's preceding single, "SECRET No.03" will come in 3 TYPES and be offered in the same format. MEJIBRAY will hold their live tour "NEXT MAJORITY VENOMS" from November 6th at Saitama HEAVEN'S ROCK VJ-3 through December 18th at their tour final at EX THEATER ROPPONGI. They will also hold MiA birthday live and birthday live eve at Meguro Rock May Kan on September 16th and Tsuzuku birthday black-dresscode live at Yokohama NEW SIDE BEACH on December 15th.